Ellen created a playful background on her card with bold black and white stripes layered with a torn paper look. She colored her monsters with bright colors and added her greeting onto the stitched panel under her images to complete her design. Tracey creates Christmas cards throughout the year, so she's prepared for the upcoming holiday season. 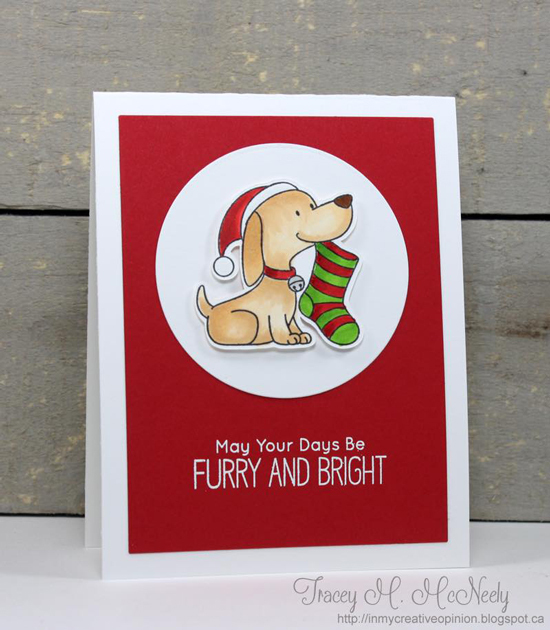 We love this cute and festive card that she created with the Happy Pawlidays stamp set - the traditional holiday colors are the perfect complement to her clean and simple design. 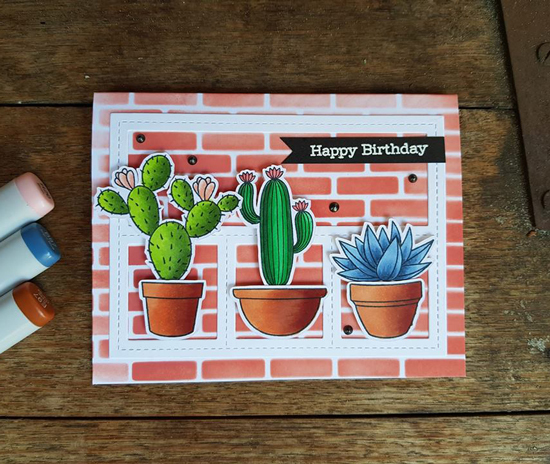 Anna created a trio of radiant succulents layered on a collage frame and a stenciled brick backdrop. 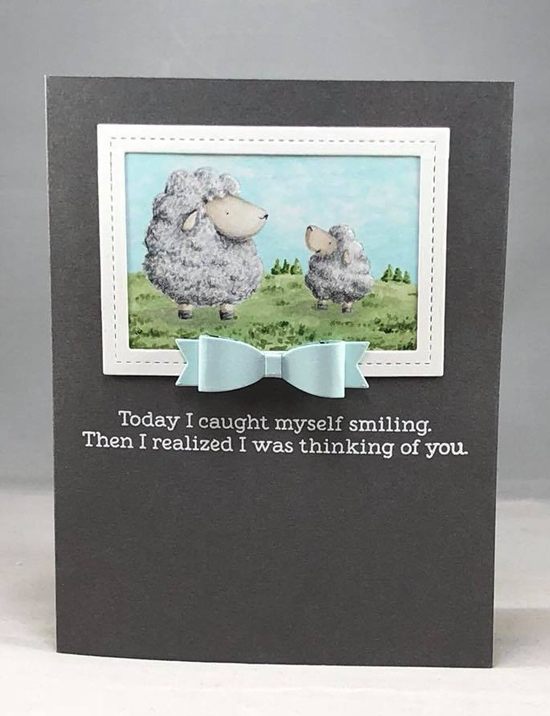 Her sentiment is white heat embossed onto a black card stock strip to ensure her message stands out on the card and doesn't get lost in the background. If we didn't know better, I'm pretty sure we would reach out to the images on Kara's card expecting to touch a blanket of softness. Her no-line coloring on her sheep is so impressive, with incredible shading and texture that makes her characters completely life-like. April created a galaxy background complete with stamped and colored planets as well as sequin filled shaker planets. 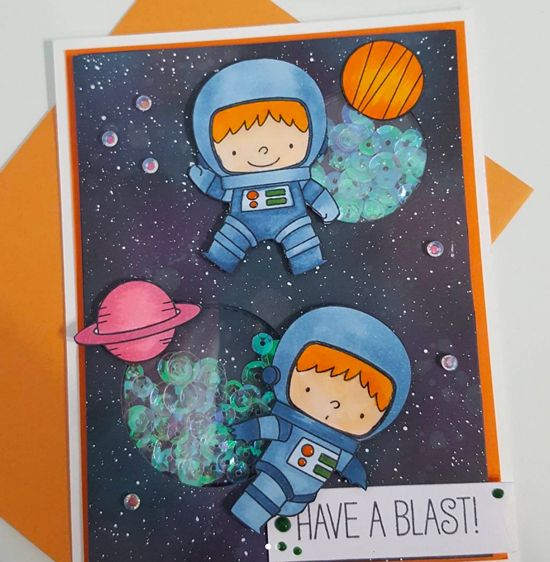 The bright orange card stock mat behind her scene matches her adorable astronauts and provides a cohesive look to her overall design. 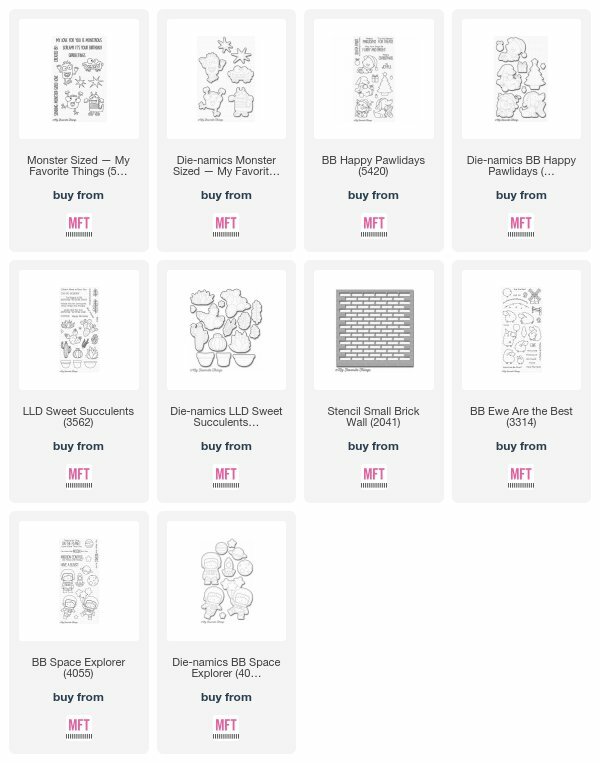 Thank you for spotting my card along with these other fantastic creations! It is such an honor! I know I need to keep it up. I feel the exact same way.